Euro 2016: Can Gary Cahill & England Find a way past Wales? 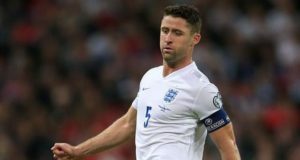 June 14, 2016	Comments Off on Euro 2016: Can Gary Cahill & England Find a way past Wales? Who Should Chelsea Fans Cheer On as the World Cup Group Stage Concludes? World Cup 2014: Eden to Be a ‘Hazard’ in Group H and Beyond…? May 16, 2014	Comments Off on World Cup 2014: Eden to Be a ‘Hazard’ in Group H and Beyond…?